Three Premier League games this season and one win and two goalless draws. Good surely? Yes, but all the old flaws are still there to see from last season. The forwards are struggling to achieve anything, with the lack of attacking ideas from midfield. Meanwhile, the old problems at the back are still there and better sides would have made Saints pay. On this showing, Huddersfield are a well organised unit, with not a little skill and an excellent manager. The game should not have been a goalless draw however. In time added on, Bertrand had a solid gold chance to nick the game when his header was cleared off the line by a Huddersfield defender. Of the two teams, Huddersfield probably came into the game with more confidence, having beaten Crystal Palace 3-0 away and Newcastle 1-0 at home. Saints had just suffered a disappointing early exit from the EFLCup, having been convincingly beaten 2-0 at home by Championship side Wolves. The team sheet showed the usual back five, with new boy Lemina looking to develop a partnership with Romeu in the heart of Saints midfield and the enigmatic Tadić with Davis and Redmond just behind the lone striker, Gabbiadini. To me, the real weak link in that set-up is the trio of Tadić, Davis and Redmond, who are just not doing enough to provide anything for Gabbiadini to work with. Davis is reliable as always, but the flanks are just not consistent. In this game Tadić was at his infuriating worst, falling down if a Huddersfield player so much as looked at him and trying to get free kicks, rather than trying to beat his man, or god help us, be creative. Redmond is equally frustrating, sometimes brilliant, but more often than not, devoid of ideas. The first half was all Huddersfield. They simply tore Saints to bits, but couldn't convert their dominance into goals. Even without the AWOL van Dijk and the just signed Wesley Hoedt, the back four had things under control - just. It was not that the team were abject, as in the EFL Cup match during the week, they just could not get to grips with Huddersfield's all-action style. We got to half-time without conceding, which was a definite plus. 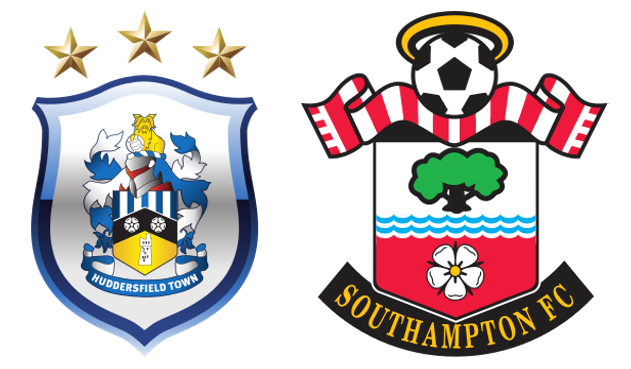 No changes were made on either side and the second half began more, or less as it had finished the first, with Huddersfield all aver Saints. Gradually, gradually Saints began to claw their way into the match and then came a series of substitutions that individually didn't seem to make a whole lot of sense. Firstly, on about the 60' mark Lemina was hauled off and replaced with Long. Lemina is still getting to grips with things, but I think there is enough about him to expect great things later in the season. Shortly after, Tadić was replaced by McQueen. Frankly Tadić was just a complete waste of time in this match, so that was no real loss. Lastly, Gabbiadini was replaced by JWP. I felt sorry for Gabbiadini. It was not his fault that he was having no effect and I feel that he is most effective when he is one of a striking pair. Maybe we will only see the best from him again when he plays alongside Charlie Austin. Anyway, Long's running seemed to distract the Huddersfield defence and gradually gaps started to appear, but things just didn't seem to fall into place. I had the feeling at the time that Saints might just nick this at the death. The game moved into time added on - and then it happened. Bertrand got a header on target, but just didn't get enough power on it and Smith cleared it off the line. That was the chance. Then the ref blew for time. Two points lost, or one point gained? For me, I think that it was a point gained. One of the commentators made the point that this was only the second time since the Premier League was formed, that Saints have gone the first three matches of the season unbeaten. So that has got to be good, hasn't it? Nobody really stood out enough for me to say anyone was MoM, but it was not all bad either. Saints just need to get this goal scoring thing sorted.